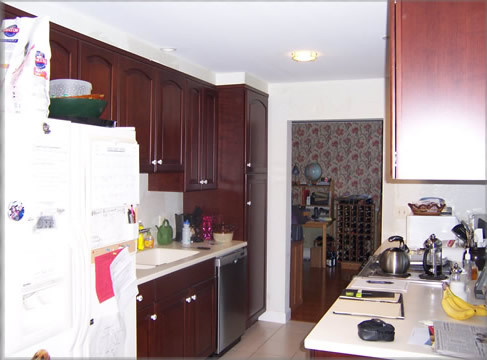 Our first experiance with Peachtree Builders was a remodel of our kitchen. Richard patiently worked with us for quite a few months while we made the many decisions that went into the redesign of the layout. We wanted to open up our “galley” type kitchen. Two goals were for anyone in the kitchen to easily be part of the group at the dining table and also to be able to take advantage of the view and light from the big bay window in the dining area. We had a tight time frame and needed the job from gut to completion to be done in 6 weeks. Not only did Peachtree complete the job on time but also on budget. 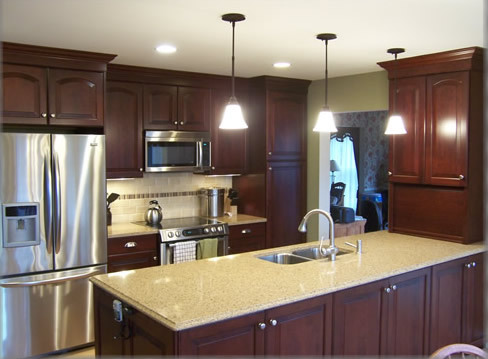 Richard’s coordination of the plumbing, electrical, tile, cabinets, and quartz countertops was seamless. We are extremely happy with the functionality and aesthetic of our new kitchen and are thrilled to recommend Peachtree. After a completely successful kitchen remodel it was only natural that we would turn to Peachtree when we decided to remodel our master bath. We were looking to not only update and modernize the space but to totally change the functionality too. 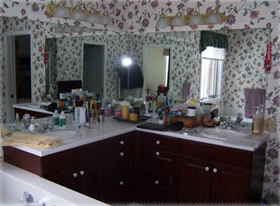 The project was comprised of a complete gutting of the room, relocation of all fixtures, including a custom shower. 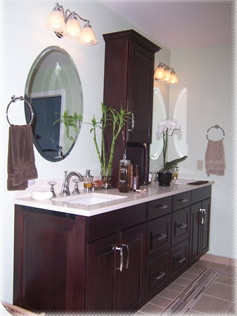 We had decided on under-mounted sinks and tub, using quartz. There were many challenges surrounding the original choice of tub and templating it for the quartz. Richard worked with us and the quartz supplier and finally with the tub supplier to ensure we would be satisfied with the end product. 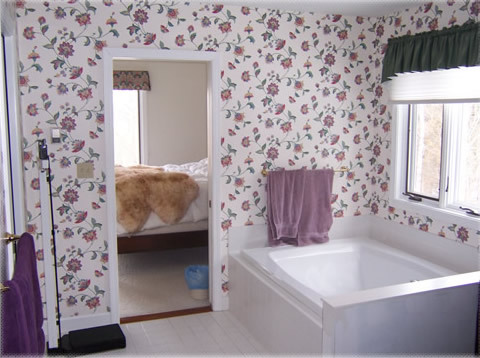 When it was discovered that there was a quoting problem with the tub Richard worked with us to get the functionality we thought we were purchasing with the price that was originally quoted. 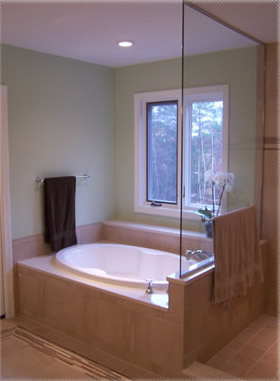 We came in on budget and we had partial use of the room while the tub and quartz issues were being resolved. We love the end result and are very happy with Peachtree’s commitment to making sure the project was completed to our satisfaction. I used Peachtree Builders this past Fall to perform repairs on my 14 year old house. Water leakage had created some mold and rotten sheathing that extended two full floors on the back of the house. Siding needed to be removed, damage assessed and the leak fixed. I wanted someone I could trust to do the job in a timely, cost effective and quality manner. I called Richard because he had done high quality remodeling work for me twice in the past and both those experiences were outstanding. The work was done in a timely manner which was important as a significant portion of the side of the house would be open to the elements while the repair was under way. They were here each day and the work was done quickly. To start, it was not clear how extensive the damage was and Richard kept me informed through the whole process so that there were no surprises. He developed solid, cost effective solutions to the issues that were found during the project and the work was done without delay and within the cost estimate that he had provided. Cleanup was thorough and complete and working with Richard and his crew was a good experience. I will call Peachtree Builders next time I need remodeling or repair work done on my house.